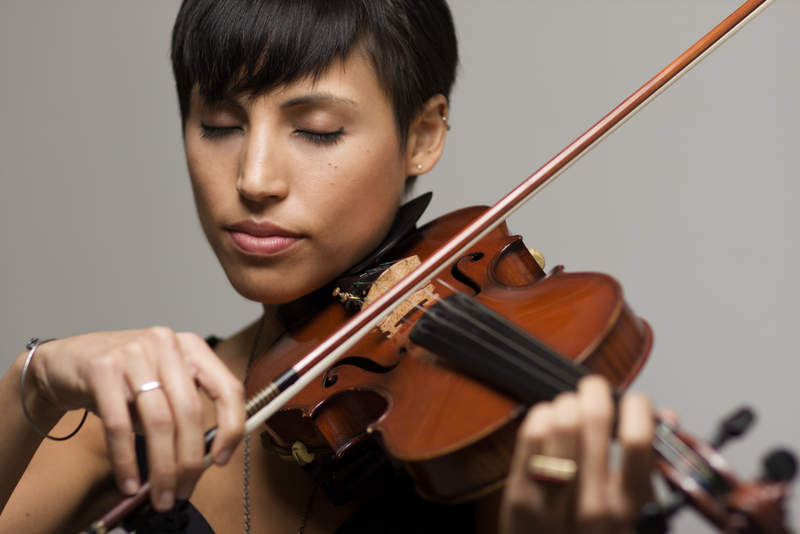 Chrysanthe Tan (she/they) is a Cambodian-Greek-American composer, violinist, and singer-songwriter based in Los Angeles. As a solo artist, she performs contemporary classical and electroacoustic baroque pop incorporating violin, looping pedal, and vocals. As a composer, her writing style gravitates toward intimate solo and chamber works, often inspired by or incorporating spoken word poetry. Chrysanthe’s work has been performed at the Metropolitan Museum of Art, Rockefeller Center, New Orleans Jazz Festival’s Rising Artist Series, US Embassy in Cambodia, as well as numerous universities and festivals. She was named an ASCAP Spotlight Composer in 2015, completed her first international composer residency in 2016, and released her debut album Stories in 2015. As a violinist, Chrysanthe has toured internationally, recorded, and performed with artists like Ariana Grande, Paul Anka, Halsey, Marco Antonio Solis, Common, Alicia Keys, and Bastille and performed extensively on TV shows like Glee, America’s Next Top Model, 1600 Penn, and the American Music Awards. In 2015, she toured the world as pop star Ariana Grande's violinist on the Honeymoon Tour, playing in arenas across North America, Europe, and Asia. Aside from the pop world, Chrysanthe plays in a violin-guitar duo called Duo Meranti, which features contemporary and folk-oriented work from the Los Angeles and Balkan diasporas. The duo is currently recording their first album, which consists entirely of commissioned work from living composers. Aside from her own projects, Chrysanthe is the co-host and co-curator of Underscore, a new media initiative and podcast with 91.5 Classical KUSC radio that features innovative artists creating multi-genre music beyond the boundaries of classical. She also collaborates with teenage lyricists as an ASCAP songwriter in the Lyric Project. 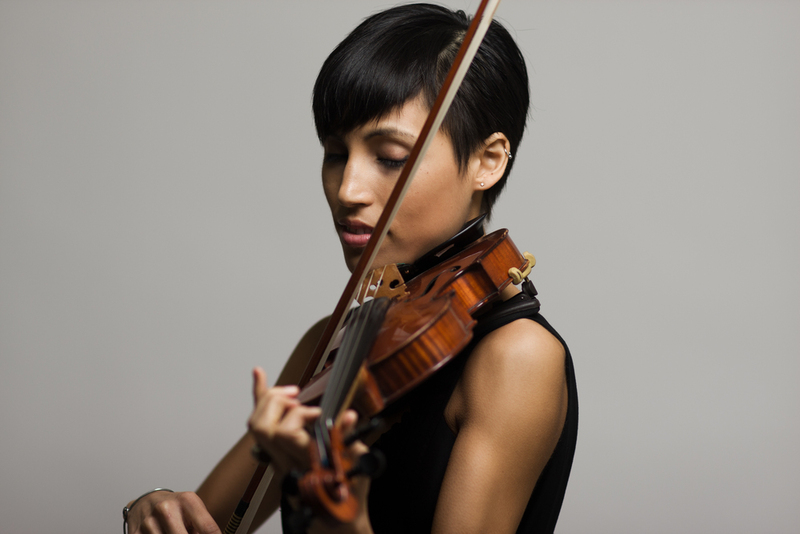 Chrysanthe Tan (she/they) is a Cambodian-Greek-American composer, violinist, and singer-songwriter based in Los Angeles. As a solo artist, she performs contemporary classical and electroacoustic baroque pop incorporating violin, looping pedal, and vocals. As a composer, her writing style gravitates toward intimate solo and chamber works, often inspired by or incorporating spoken word poetry. Chrysanthe’s work has been performed at the Metropolitan Museum of Art, Rockefeller Center, New Orleans Jazz Festival’s Rising Artist Series, US Embassy in Cambodia, as well as numerous universities and festivals. She was named an ASCAP Spotlight Composer in 2015, completed her first international composer residency in 2016, and released her debut album Stories in 2015. Aside from her own projects, Chrysanthe is the co-host and co-curator of Underscore, a new media initiative and podcast with 91.5 Classical KUSC radio that features innovative artists creating multi-genre music beyond the boundaries of classical. She also collaborates with teenage lyricists as an ASCAP songwriter in the Lyric Project. As a queer, non-binary, autistic, multicultural artist, Chrysanthe exists to create and communicate. Whether using Patreon, social media, podcasting, or writing, cultivating honest conversations is just as important to her as the music. As a queer, non-binary, autistic, multicultural artist, Chrysanthe exists to create and communicate. Whether using Patreon, social media, podcasting, or writing, cultivating honest conversations is just as important to her as the music. High-res photos for promotional use below. Photo credits as captioned.